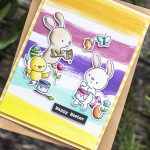 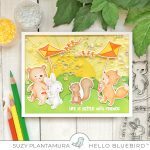 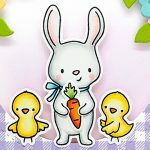 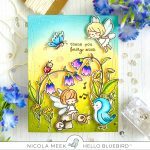 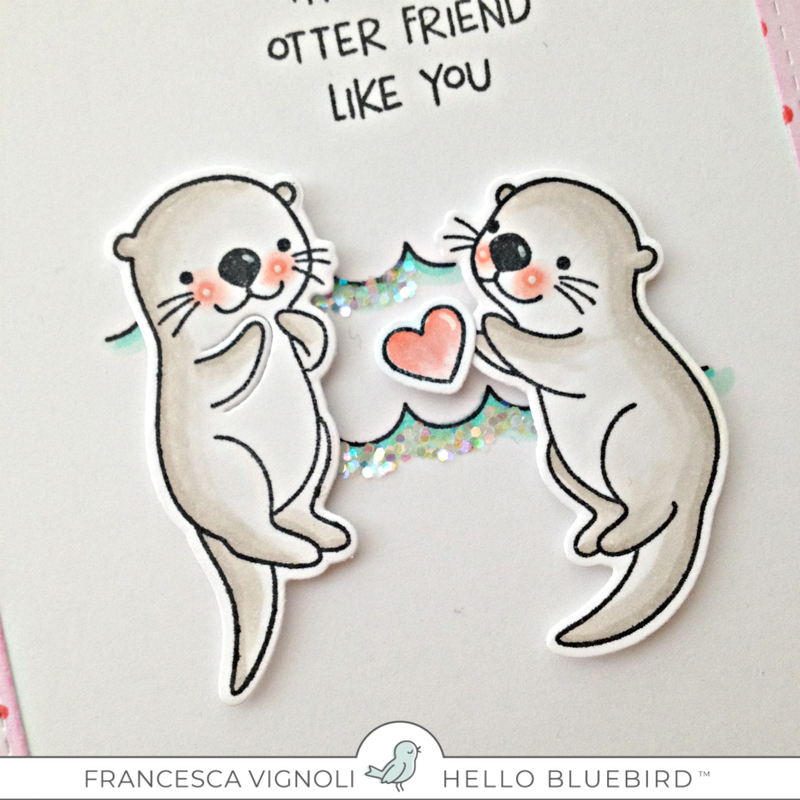 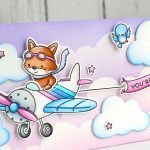 Franci here with you today with a love/friendship themed card feat the adorable “Otter Friends” set. 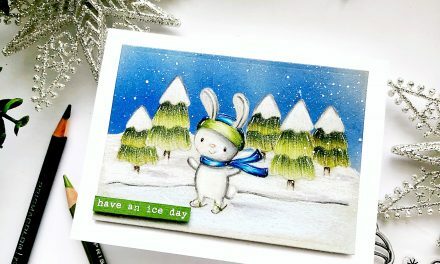 First of all I die cut this pretty frame using the “Gallery Frame Die #2” out of white cardstock, I inked it up with some Picked Raspberry Distress Ink, I let it dry completely and then I stamped it with the “Falling Snow Background” stamp. 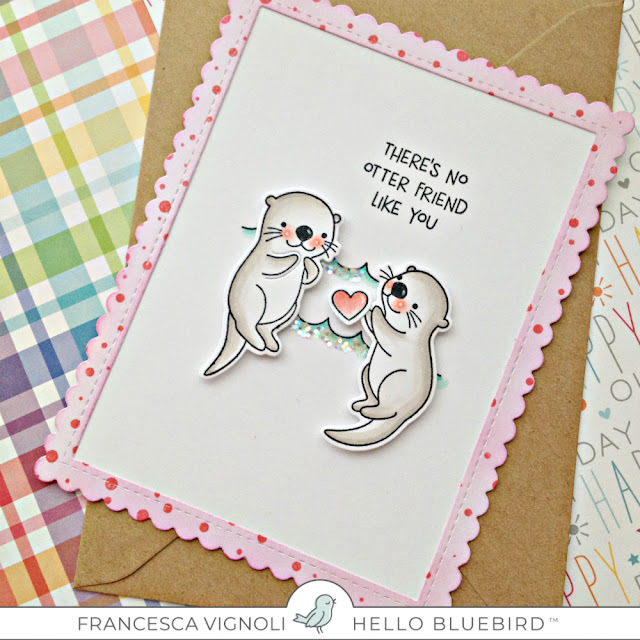 Then I stamped, colored and die cut this cute otter couple, I added some white details with a white gel pen and then I created my card base. 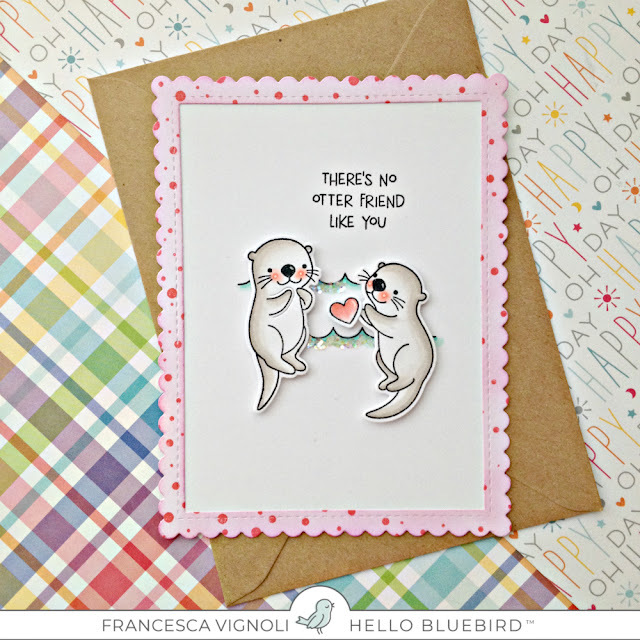 I cut it out of white cardstock and glued it to my frame, I stamped a couple of waves on the center. I shaded them with some blue copics, I coated in glitters and let them dry. 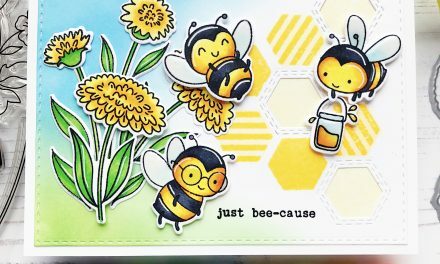 I stamped my sentiment at the top and glued down my critters with some foam adhesive. 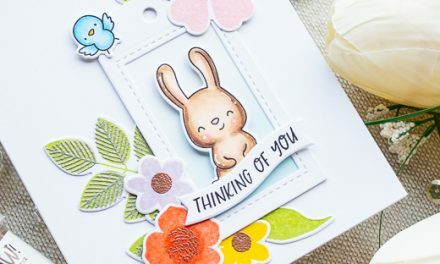 I’m so happy about how this pretty clean and simple card turned out and I hope you like it too! 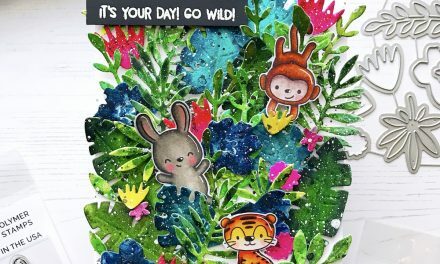 Thanks a lot for stopping by and have a lovely day!